This morning I worked with Trevor. We talked about Rashad's fight and then hit mitts for about 45 minutes. 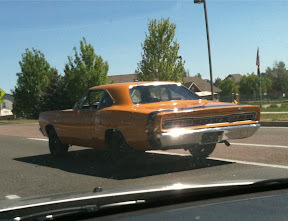 Then I drove home and saw this car on the way. Can anyone tell me what year it is? I believe it's a Charger. Maybe a 68 or 69?